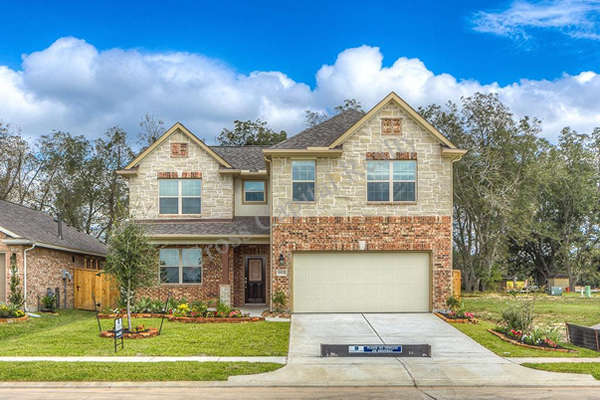 With an average selling price of 318,000 dollars, there is no question that Rosehill Reserve is one of the most appealing neighborhoods in Tomball TX. 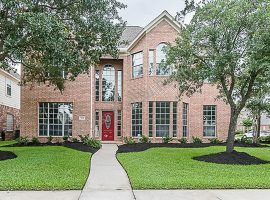 There are several engaging, vital benefits to this community, and you can start with the fact that the homes for sale in this area are putting you right next to everything Tomball has to offer. This is a stunning, charming community of 10,000+. 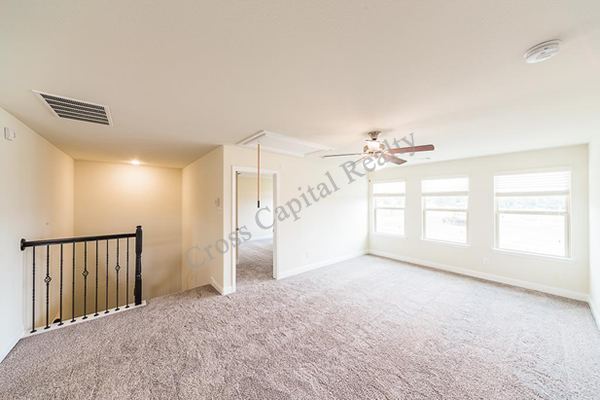 As a small incorporated city in Harris County TX, it is an impressive combination of modern city features and gated communities, with marvelous natural surroundings. 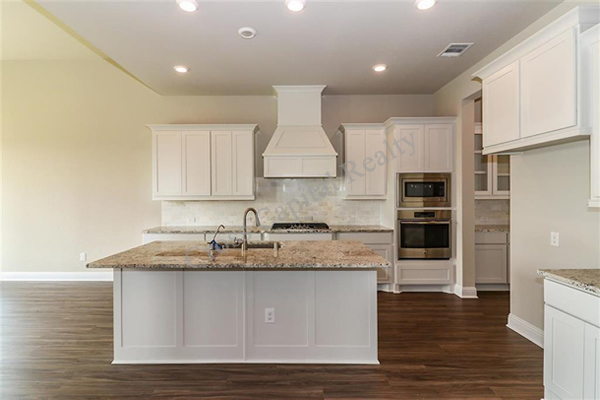 This is an area that offers golf courses, lakes, and hiking trails, while also offering restaurants, shopping centers, and amazing schools through the Tomball Independent School District. In other words, this is a neighborhood and city that can be perfect for just about anyone. The average home in this neighborhood has a size of nearly 3000 square feet. 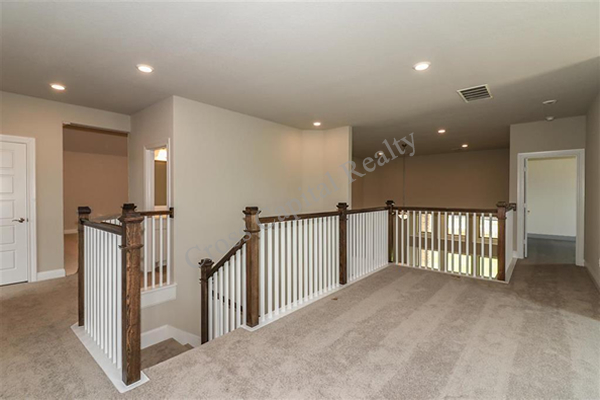 This is fairly normal for a neighborhood in this price range, but you can find certain examples that are certainly larger. 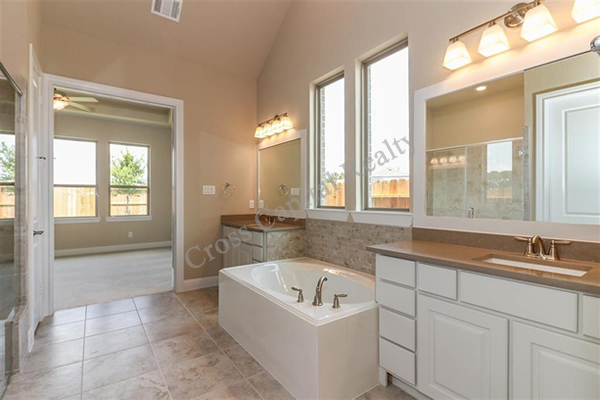 Regardless of the homes for sale in Rosehill Reserve that catch your eye, you are still going to have a home that provides formidable curb appeal, several bathrooms and bedrooms, and features from some of the best home builders in Texas. 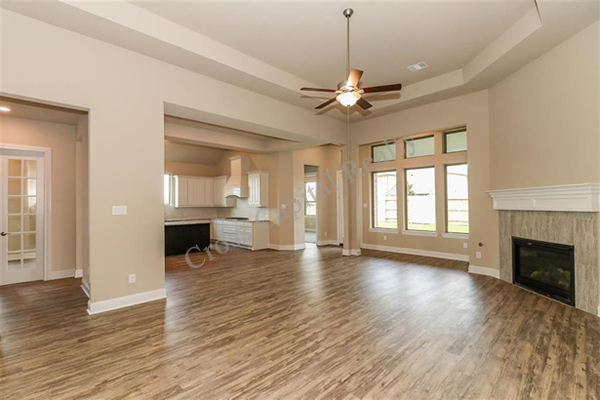 This Tomball TX neighborhood features additions from such national or Texas home builders as CalAtlantic Homes, M/I Homes, and Perry Homes. 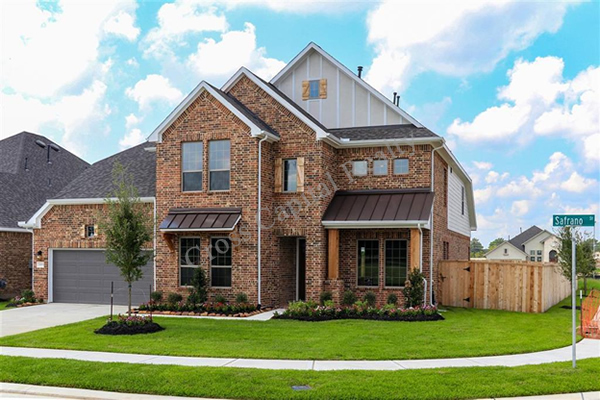 This neighborhood didn’t appear yesterday, but it is still a neighborhood you could consider a relative newcomer to Tomball. 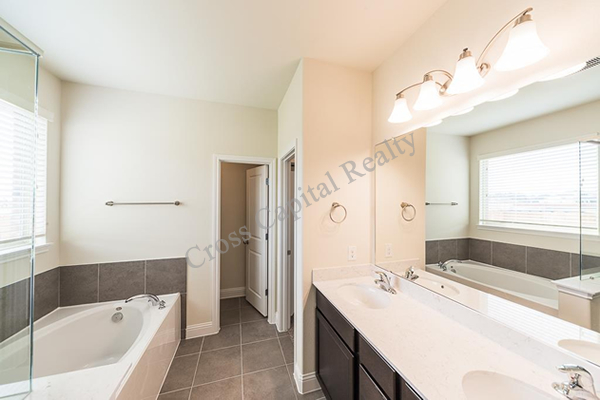 New properties continue to be developed in this area. 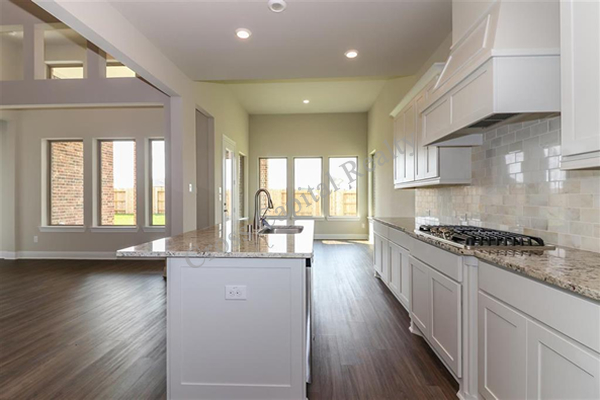 Beyond the vast appeal of the homes themselves, there is much to Tomball that you are going to appreciate in greater detail. Beyond the schools, shopping, and parks, you are going to have all of the essential elements that define anything meaningful place to live. 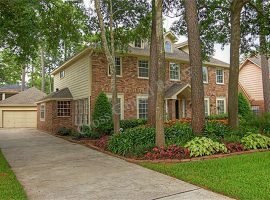 You also have easy access to some of the most important roads and major highways in Harris County. 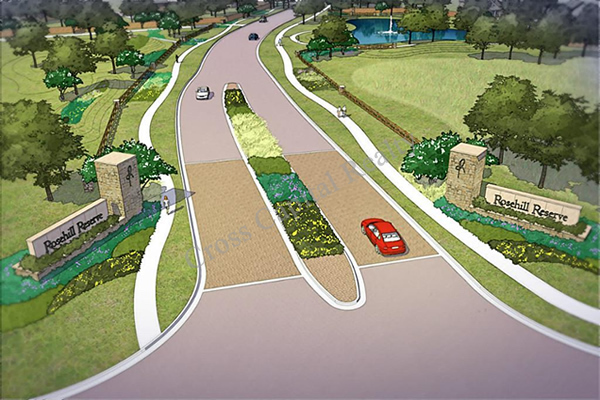 From neighborhoods like Rosehill Reserve, you are going to be able to get to Cypress TX, Klein TX, or Spring TX. You can also get to a number of other towns, cities, and shopping centers. 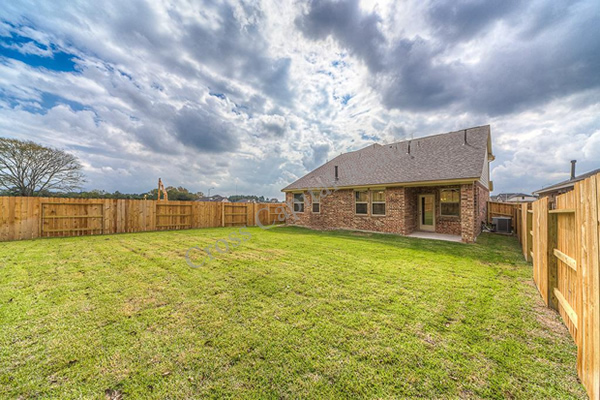 On top of all of this, the homes for sale here also put you less than one hour away from Downtown Houston. This is the perfect way to ensure an easy route to work each day, while also enjoying the benefits of a town that provides a peaceful respite from a hectic life. At Rosehill Reserve you’ll discover life’s simple luxuries. Watch sunrises stretch over blankets of dew while mourning doves signal the stat of a new day. Give your children the freedom to play alongside the crickets.Say good-bye to the city frenzy. Slow down for a change. At Rosehill Reserve everything that matters waits patiently for you. A home sweet home in tranquil setting. Reserve your today. 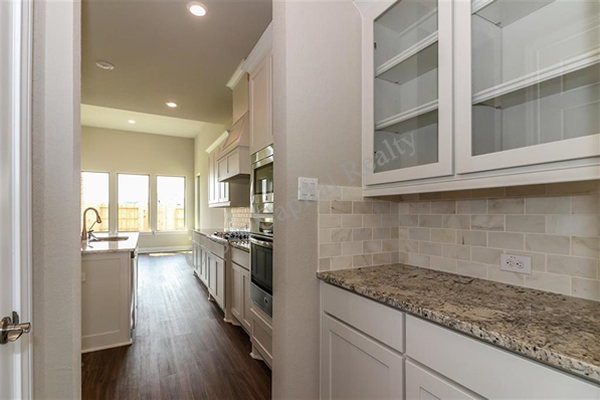 New homes in Rosehill Reserve make it easy to connect with neighbors and family, as well as the world around you. This is where your senses come alive and engage with life. And with families that are more about substance than show. Imagine a life that invites you to be yourself. A place where your new home is a haven of meaningful connections – not just with friends and family, but with errant soccer balls. From our parks and our pool to open spaces by the lake, Rosehill Reserve is sanctuary of sacred spaces. It’s where being real, rather than impressive, makes for an authentic way of life. 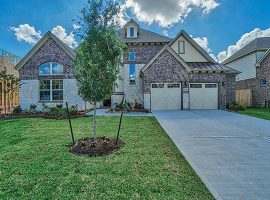 Find your new home in Tomball, Texas. 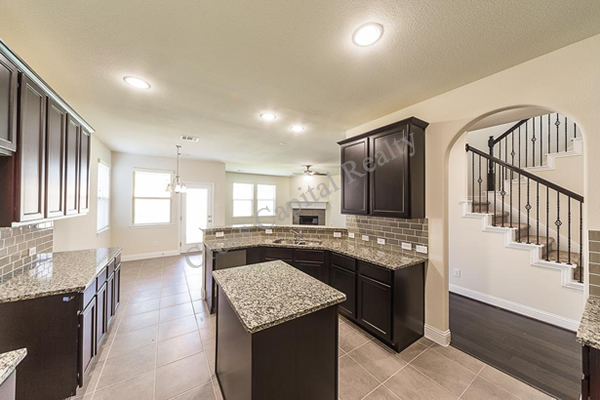 Located in Tomball off 2920 between Mueschke Road and Rosehill Road, Rosehill Reserve is perfectly positioned for easy access to the Grand Parkway as well as Highways 290 and 249. 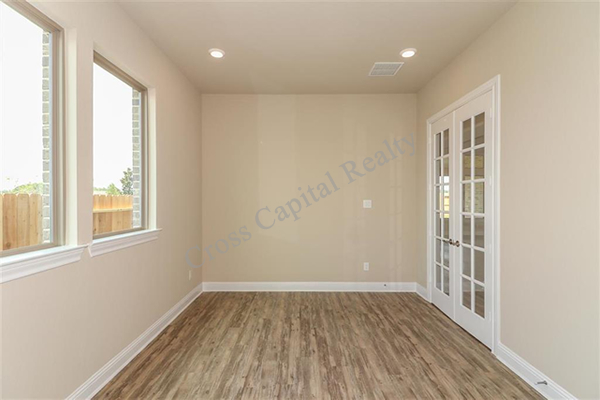 New homes are just minutes from everything you need. 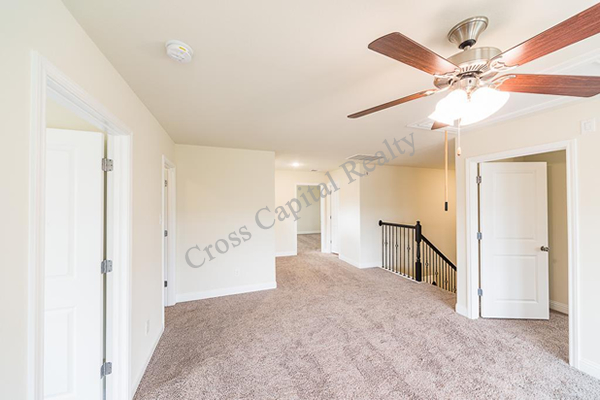 Residents will get to savor the perfect balance between getting away and quickly getting to just about anywhere they want to go – straightaway. Rosehill Reserve positions you near nonstop highways that lead to business opportunity and the top business hubs are just 25 miles away. The hidden gem of Tomball, Texas. 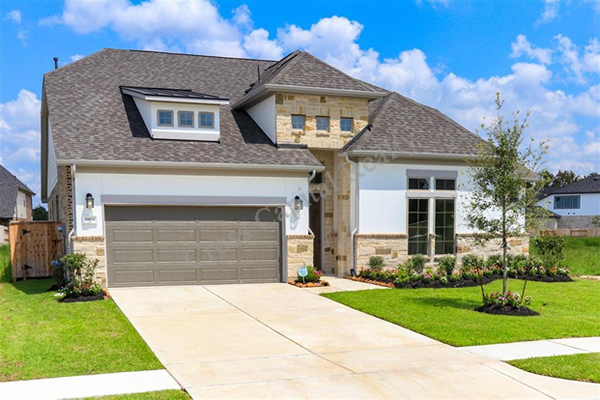 New homes in Tomball are minutes away from an array of charming small town activities — home to a wealth of mom-and-pop restaurants serving up tasty food, unique shops, live event venues and even a drive-in movie theatre. Historic Downtown Tomball has more than enough to keep you busy with art galleries, shops and restaurants. If you enjoy shopping, browse the one-of-a-kind wares in Tomball’s boutique clothing stores and antique shops. Explore the hiking and biking trails, go fishing in the 320-acre Burroughs Park or hang out in an observation blind in Theis Attaway Park, Tomball’s locale for birding and wildlife watching. 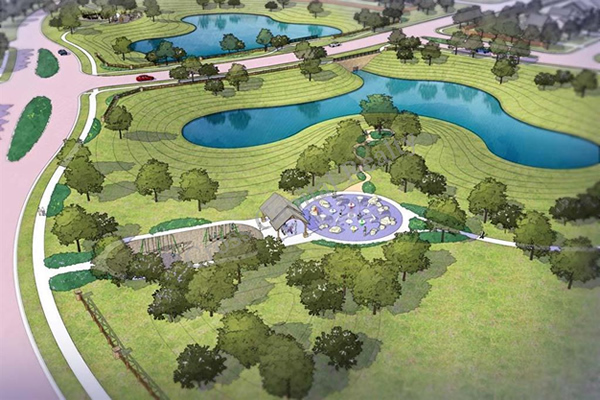 Along with its parks, Tomball is just a hop, skip and a jump away from dozens of spectacular public and semi-private golf courses, driving ranges and practice facilities. 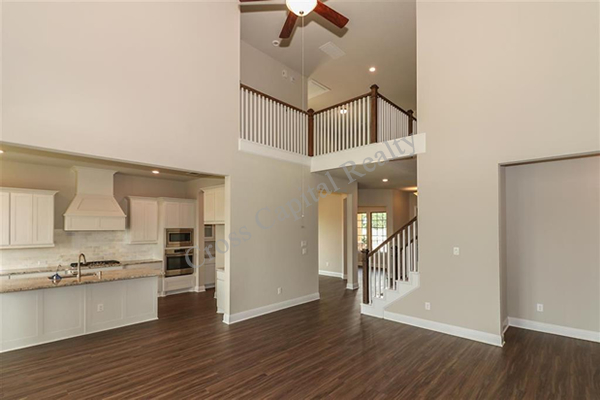 New homes in Tomball are zoned for the acclaimed Tomball Independent School District. Tomball ISD educates students to become responsible, productive citizens by providing innovative, individually rigorous and personally valuable educational experiences. Who says living in the country means sacrificing city comforts? They haven’t heard about new homes in Tomball. At Rosehill Reserve, country sunrises and peaceful mornings are just two of nature’s amenities that distinguish their community from other premier communities. 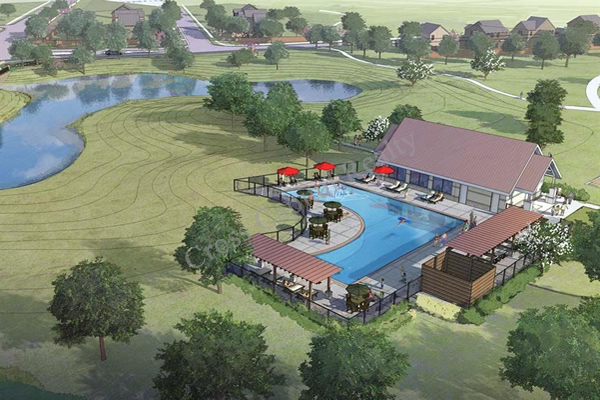 But it’s their man made amenities that set them a world apart.At Rosehill Reserve’s new amenities center, you’ll find a constant excuse to meet up with friends. Whether it’s for a wine tasting, a holiday party or a ladies’ night of Bunco, the amenities center is a social butterfly’s best friend.So is the community pool. Amongst their beautiful new homes and amenities, you’ll find laughing babies, smiling faces and even cautious sun-seekers craving a dose of vitamin D. As to the highly-celebrated walking trails, they’re your constant reminder that a life in the country offers beauty in all directions. RESORT STYLE – Your private oasis. With its clear waters reflecting the deep blue of a country sky, our resort-style pool makes taking a dip feel like you’re taking a vacation. 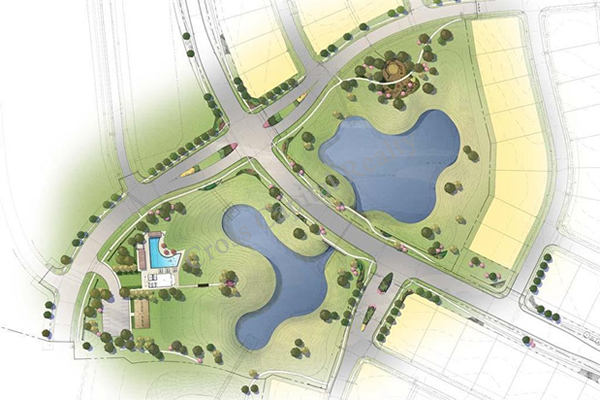 AMENITY LAKES – Here you can live life wide open, surrounded by tranquil bodies of water. POCKET PARKS – Who says playgrounds make only kids smile? When they’re situated in the middle of luxury and natural beauty, the surroundings are enough to make even adults giddy. WALKING TRAILS – Get some exercise. Explore the outdoors. Let the trails guide you throughout nature or lead you to your personal happy place. The monentum of business surrounds Rosehill Reserve. The Energy Corridor, a quick drive from the community, is home to some of Houston’s largest companies including Sysco Foods, CITGO Petroleum Corporation and BP America. The once small town of Tomball, also a short distance away, is now enjoying a proliferation of new business. Baker Hughes, Tomball Regional Medical Center and HP are just a few of the many. The Luxury You Want. It takes a special mix of builders to create a community that stands apart from the rest. That’s why we selected our builders from among today’s finest. Whether your dream home features brick, stone or some other material, you can count on having a home that reflects the uniqueness of your family. All of our builders are masters at building homes that support the way you live today, while setting the stage for the treasured memories that will endure beyond tomorrow. 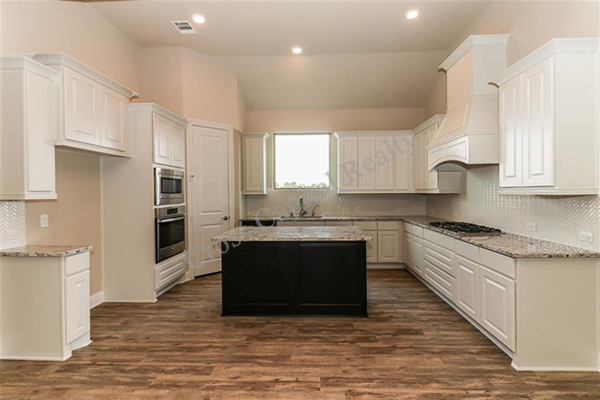 By prioritizing your needs and inspiration over shortcuts and quick fixes, our builders make getting your dream home an enjoyable experience. It’s also why all Rosehill Reserve homes have one thing in common: quality craftsmanship, right down to the studs. CALATLANTIC – Home buyers who count on expertise count on CalAtlantic Homes. And now they’re giving you more than before. 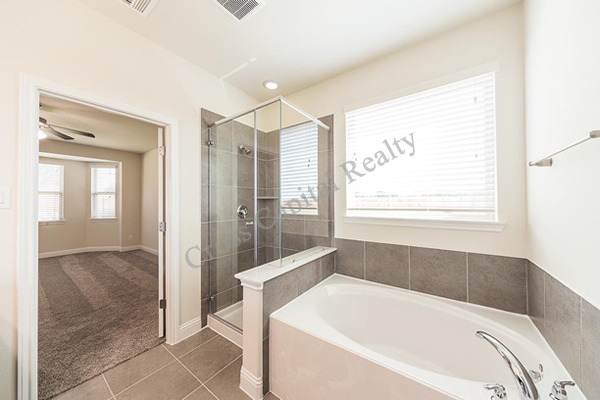 With CalAtlantic’s recent merger with Standard Pacific, the resulting new company, CalAtlantic Homes, gives you the benefit of 100 years’combined experience putting integrity into the homes where memories are made. M/I HOMES – M/I Homes has spent over 40 years asking themselves, “Would I be satisfied if this were my new home?” That question, along with M/I Homes’ commitment to prioritizing innovative design, high quality and desirable locations over economic shortcuts, has made M/I Homes one of the nation’s leading single-family home builders. 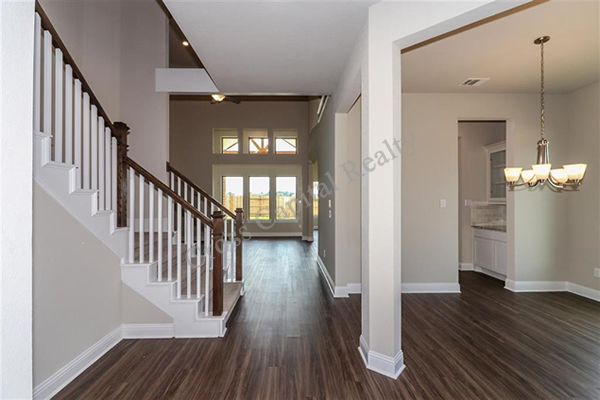 PERRY HOMES – By building quality homes, we’ve built a quality legacy at Perry Homes. We are committed to providing you with exceptional value, quality and comfortable designs that fit the way you live. 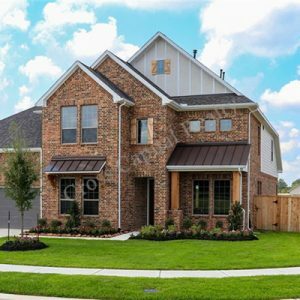 We’ve spent over 50 years building a sterling reputation as one of the largest and most trusted builders in Texas. We have offices in Houston, Austin, Dallas and San Antonio.